Could Lasko be another future star to come from the Cape League? On Cape Cod, while the sun beats down on locals and celebrities alike enjoying the sandy shores of the Atlantic Ocean, a different kind of star is being born on the South Shore between the months of June and August. Hundreds of the best collegiate baseball players in the country make the trip down to the Cape every summer to showcase their skills in the Cape Cod Baseball League. With them come countless fans ready to see the next crop of future Major League Baseball players and scouts ready to pick from them. In some ways, it’s like being at the same open mic night where Jerry Seinfeld got his start in 1976 or watching a band named Coldplay perform at a London dive bar in the the mid-1990s. The potential for stardom and prominence is massive at these Cape League games. From Carlton Fisk to Nomar Garciaparra to Buster Posey to Chris Sale, the Cape League has produced top-notch MLB players for generations. 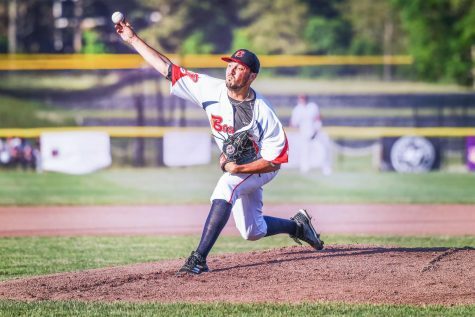 Justin Lasko of the Massachusetts baseball team has pitched in the prestigious league for the past two summers, and the impact is palpable. Almost every elite athlete has something that motivates them. Tom Brady was the 199th pick in his NFL draft. Michael Jordan was cut from his high school basketball team his sophomore year. For Lasko, it’s not as specific as that, but more a trend that has followed him throughout his baseball career. Lasko’s entrance into the Cape Cod League followed that vein. After his sophomore year in the early summer of 2017, he wanted a place to play and found himself as a temporary player on the Chatham Anglers. Since Lasko was only a temporary player that summer, the pressure was fully on. Despite the pressure, Lasko performed in Chatham. He went 2-0 with an ERA of 2.79. Aside from his pitching talents, there was another attribute that Schiffner loved about Lasko. UMass head coach Matt Reynolds noticed that about Lasko just as quickly as Schiffner did. “Some of that gratitude he would have for that opportunity is that he wasn’t the guy coming out of high school that was already throwing the ball low 90s,” Reynolds said. “He’s had to build himself up from where he was to where he is right now. Looking back on that first summer, Lasko was able to take a lot away from it. When it came to the summer of 2018, Lasko found himself once again looking for a place to play. He gave his former coach from Chatham a call and Schiffner gladly helped. Within the day, Lasko received two calls — one from Bourne Braves head coach Harvey Shapiro and the other from Harwich Mariners head coach Steve Englert. Shapiro called first and locked in the coveted right-hander from UMass. Like in Chatham, Lasko began his time in Bourne as a temporary player. But after his third start, Shapiro approached him and told him that he wanted him around for the full summer. The move paid serious dividends for the Braves. Lasko went 3-2 with a 3.76 ERA in eight starts. The confidence surrounding him was well warranted, and his time with the Braves peaked when he was selected to pitch in the All-Star game. He finished off the summer with some hardware by winning the John Claffey award — an honor given to a distinguished player who comes from New England or plays for a New England college or university. To understand Lasko, you have to realize there are two sides to him: the mental side and the technical side. “The first thing is the competitiveness factor,” Reynolds said. “He’s a super competitive kid. Winning and losing really matters to him. How he performs really matters to him. He does a really nice job of preparing that way too. It’s not just when he puts that uniform on that his competitiveness comes out — it’s in his bullpens, when we’re upstairs in the cages and he’s throwing live to our own hitters. While his preparation is also strong, Lasko’s ability to make in-game adjustments stands out more. Those adjustments are a lot easier because he understands the game of baseball and the art of pitching inside and out. That competitiveness and intelligence helped him rank seventh in ERA among all qualified Atlantic 10 pitchers at 2.52. The Minutemen only earned six wins in A-10 play — Lasko had four of them. Then there’s the technical side of things. Lasko sports four different pitches, none exceeding 92 miles per hour. He has a slider, a traditional curveball, a changeup and a two-seam fastball. Another aspect of his game that’s helped him immensely is his ability to throw strikes. It’s one that Reynolds loves the most. These skills and characteristics made for him to be a sponge with the Cape Cod League. And there would be one big trait he’d pick up in the vacation capital of New England. 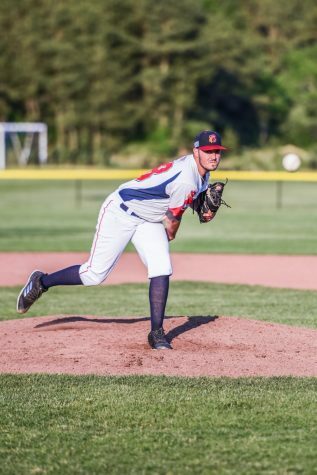 Many describe the Cape Cod League as an equalizer — a place where all of the best collegiate baseball players can come and play on an equal playing field. And because Lasko thrived on that field, he bolstered an important trait for all elite athletes. “I think that he gained confidence being [in the Cape],” Schiffner said. “If you come to the Cape Cod league, you’re one of the best 300 baseball players in the country. It helped him confidence-wise. He looked around and saw that his stuff fit here and he could pitch against that kid from North Carolina. Lasko’s results during his junior year season at UMass would indicate a clear increase in confidence. All of his pitching statistics got better as he became more comfortable in the role as the Friday starter, the one who faces every other team’s ace. To add to that, he almost became a permanent player in Chatham his first summer and then did so in Bourne after three starts in his second summer. 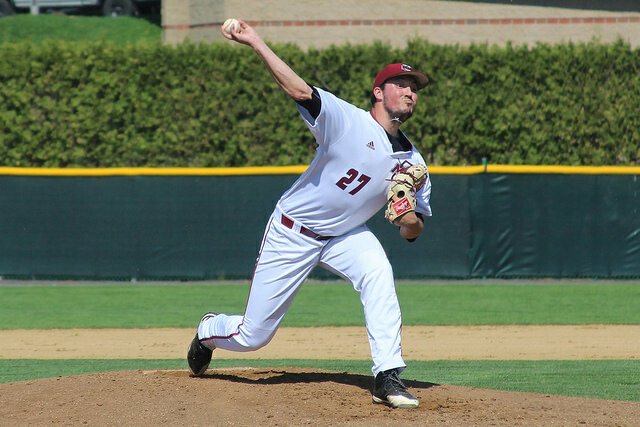 For Lasko, there was another component of his time in the Cape Cod league that he feels can be directly translated to this UMass team. 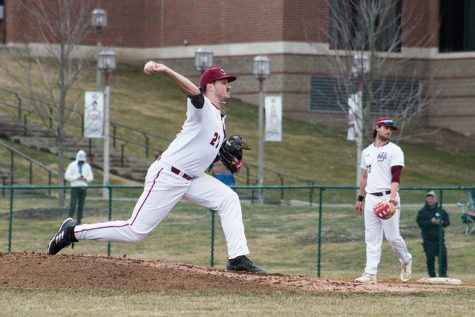 For this upcoming season, the pitching staff for UMass includes eight freshmen. Lasko’s time in the Cape Cod league will prove to be vital in mentoring them. As Lasko enters his last act at UMass, there’s still things the coaching staff would like him to improve upon. Reynolds said they think he has one more jump in velocity; Cole said how his star pitcher is becoming more and more of a vocal leader in the clubhouse. But his overall impact as a leader and mentor to the rest of the team is apparent at all times. He’s one of three captains on the team and the only one from the pitching staff. According to Reynolds, he was unanimously selected by his peers and coaches. The uncertainty of the future may loom large. But with the growth from his past four years and two summers, there’s a good chance he’ll be added to the list of stars the Cape Cod league has bred. And for those who watched him pitched on the Cape in 2018, they’ll have seen where it all began. Evan Marinofsky can be reached at [email protected] and followed on Twitter @emarinofsky. My wife and I were Justin’s host parents this past summer when he played with the Bourne Braves of the Cape Cod Baseball League. We enjoyed having him. He was engaging and very respectful. He interacted with the other players that stayed with us and they have developed long term friendships. It was very difficult having to say goodbye at the end of the season. We miss our “Summer Son” very much.